When was the last time you looked into the mirror? Were you totally satisfied by what you saw? If the answer is, “Not really,” then you may want to check out at these 5 great reasons to talk to your San Diego dentist about cosmetic dentistry procedures. 1. The first reason is that a little cosmetic dentistry goes a long way. Some of the most popular cosmetic dentistry procedures, such as teeth whitening, are simple and easy to do, but they can have dramatic results. 2. Next, cosmetic dentistry is more affordable than you think! Next time you are in the office of your Hillcrest, Mission Hills, or Bankers Hill dentist, ask them for a price chart. I am willing to bet that you’ll be pleasantly surprised. 3. Don’t fear the pain, your dentist will keep you comfortable. Many Mission Hills residents worry that the procedures are painful, but dentists in the San Diego area are trained to help you stay relaxed and free from discomfort. This is true whether you are getting dental implants, veneers, or a complete smile makeover. 4. You’re never too old! Many mature San Diego men and women think that cosmetic dentistry procedures are only for the young, but teeth continue to change throughout your life and these procedures may be exactly what is needed. Plus, many satisfied patients say they look years younger after their procedures are complete. 5. 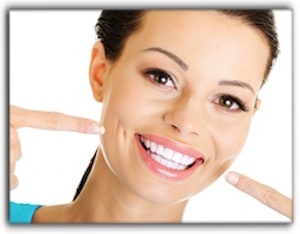 Your Bankers Hill cosmetic dentist can treat your particular cosmetic dental problem. Some Bankers Hill residents have been led to believe that they have to live with chipped, cracked, or missing teeth, but today’s dentists have the tools and procedures to fix a wide array of dental problems. If you are in the Mission Hills area and are looking for a dentist, Marcos Ortega DDS would love to serve you. My name is Dr. Marcos Ortega and I have been a San Diego, California dentist since 1986. Please call 619-295-4545 to make an appointment.